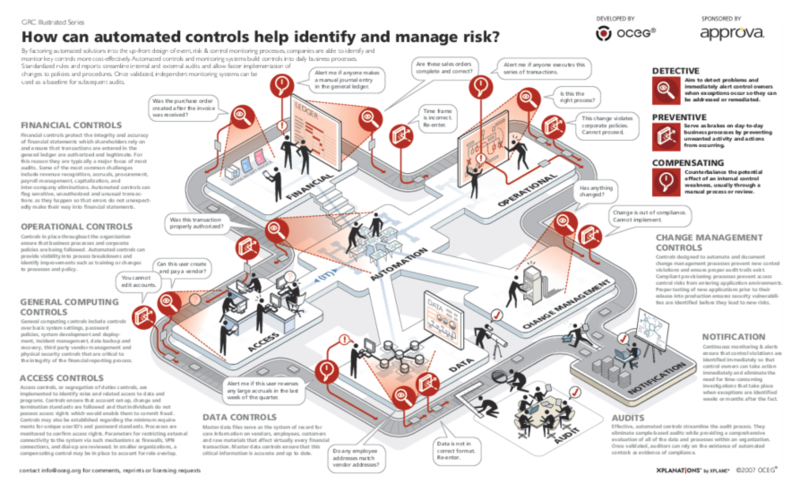 Companies are able to identify and monitor key controls more cost-effectively by factoring automated solutions into the up-front design of event, risk, and control monitoring processes. Automated controls and monitoring systems build controls into daily business processes. Standardized rules and reports streamline internal and external audits and allow faster implementation of changes to policies and procedures. Once validated, independent monitoring systems can be used as a baseline for subsequent audits. We have emailed instructions to access Illustration – How Can Automated Controls Help Identify And Manage Risk to . Make sure the email arrives in your inbox: either add "support@oceg.org" as a safe sender to your email platform, or if you use Gmail, drag our email into your Primary tab.